FOOTBALL : 'BLOODY NOSE STRIKE' STRATEGY AGAINST LIONEL MESSI - - IS IT WORKING ? - Sports | Sports 24 | Sports News ! 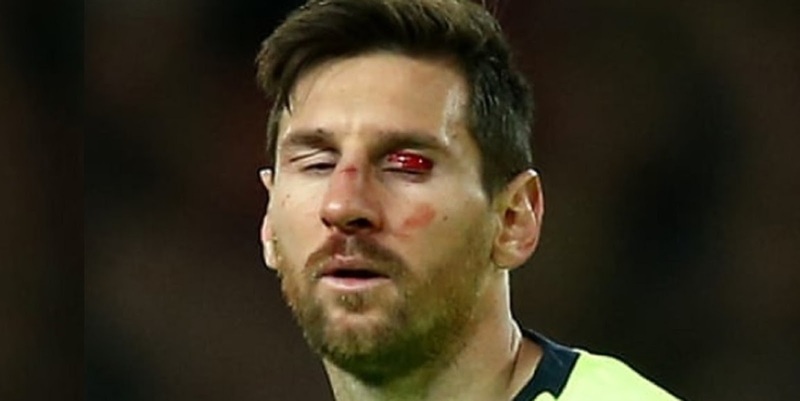 Home World Cup FOOTBALL : 'BLOODY NOSE STRIKE' STRATEGY AGAINST LIONEL MESSI - - IS IT WORKING ? FOOTBALL : 'BLOODY NOSE STRIKE' STRATEGY AGAINST LIONEL MESSI - - IS IT WORKING ? 📰 [SPORT] | The covers of the UK newspapers after the victory of Barça at Old Trafford. ⏰ Refused to be substituted and completed the full 90 minutes. 🚑 [MD] | Lionel Messi performed the medical tests today and there is no danger. Lionel Messi and Cristiano Ronaldo have been battling to be regarded as the greatest of all time for many years - but who holds which record?